Ptolemaois IV - son of Ptolemy III and Berenice II - was the fourth Pharaoh of Ptolemaic Egypt. 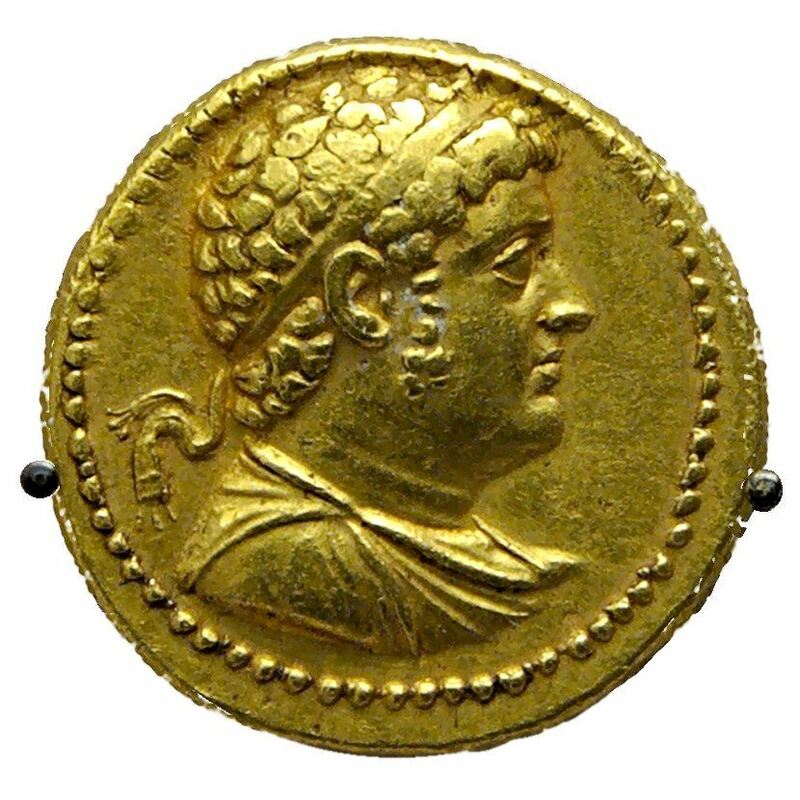 Ptolemy IV's reign was inaugurated by the murder of his mother, and he was always under the dominion of favourites, male and female, who indulged his vices and conducted the government as they pleased. He was devoted to orgiastic forms of religion and literary dilettantism. He built a temple to Homer and composed a tragedy, to which his favourite Agathocles added a commentary. Ptolemy is said to have built a giant ship known as the tessarakonteres ("forty"), a huge galley and possibly the largest human-powered vessel ever built. The current theory is that Ptolemy's ship was an oversized catamaran galley, measuring 128 m (420 ft.).